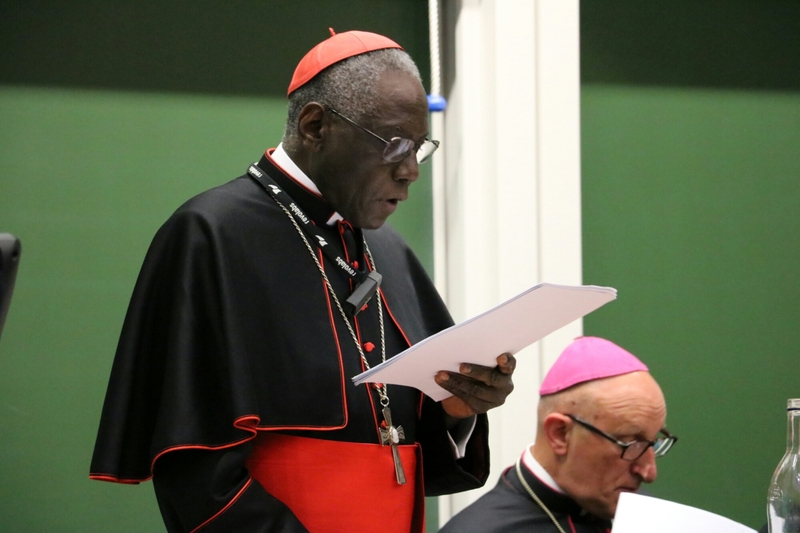 The opening session of Sacra Liturgia U.K. (July 5, 2016) featured an outstanding address by Robert Cardinal Sarah, prefect of the Congregation for Divine Worship and Discipline of the Sacraments. His Eminence touched upon all of the major topics which constitute the ongoing reform of the Roman Rite. The below quotes come to us via the official Sacra Liturgia Facebook page. Posted on July 5, 2016, in liturgy and tagged Cardinal Robert Sarah, holy mass, reform of the reform, Sacra Liturgia U.K. 2016, sacred liturgy. Bookmark the permalink. 12 Comments. All good, don’t want to downplay any good initiative. But plain fact is that nothing gets fixed in the Church until the novus ordo is abolished. We have a blessed pastor and has already iniated these norms into our Masses. But we need to have bishops/pastors also moving more quickly in uniting the notms, despite parishoners complaints, if any. Despite parishoners concerns? It will be interesting to watch the collection plate returns with that one! Nothing like treating the dumb sheep just the clergy has been doing for centuries. Never mind what they thing or feel. We’ll just threaten them with hell if they don’t conform. Father knows best…… God help us all if that thinking prevails. Parishioners attend the church and liturgies that draws them closer to God, if they are fortunate enough to live where they have an option to. That’s why some travel great distances for a Latin ceremony, and other do the same to ensure they may receive Holy Communion under both species on Sunday. Isnt Our Lords big enough to house all of us? Why are we lacking so much in charity and love for each other? My way or the highway is really not the Way. Jesus draws as He does along the paths He chooses for each of us. So pleased to hear these points from Rome, points that are long overdue, and will finally start to lead us (those of us with no EF in the area) back where we all belong!